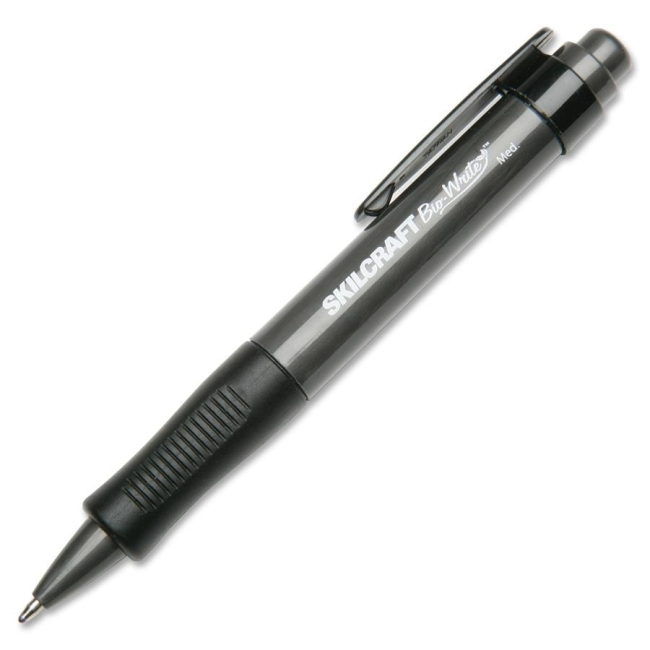 Made using 68 percent cornstarch, retractable ballpoint pen is bio-based, biodegradable, and ergonomic. Barrel leaves no chemical residue in commercial composting facilities. Wide body design adds extra writing comfort. The thick cushion grip helps to reduce writing fatigue. The low-viscosity ink produces smooth, bold, vivid lines with the permanence and write-out of a ball point, but the smooth feel of a gel pen. Bio-Write Ballpoint Pen is refillable.